I’m happy to announce that CHAKRA SECRETS is now available in paperback as well as Kindle. To celebrate the launch, we’re making a special offer you won’t want to miss. CHAKRA SECRETS: ON THE PATH TO LOVE AND HAPPINESS shares my sizzling personal story as well as the “secret” Huna healing technique that can be used to balance and tone your chakras. It’s called Dynamind. And, believe me, after reading my book, you’ll also want to use it to balance your chakras and balance your life. 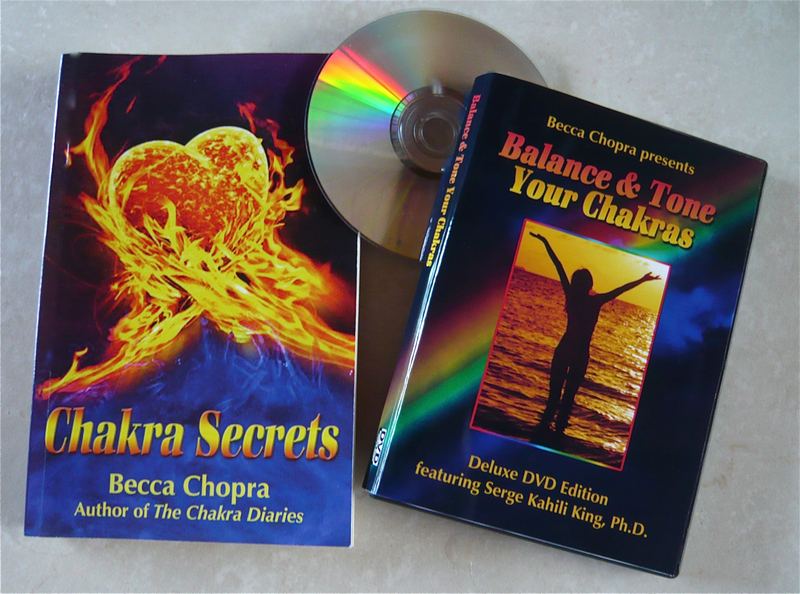 BONUS VIDEO OFFER: During launch week, starting today, anyone who purchases CHAKRA SECRETS (either paperback or Kindle versions) and emails me a copy of their Amazon receipt, will receive a link to download my new video, BALANCE & TONE YOUR CHAKRAS. You can follow along with me as I learn Dynamind from Serge Kahili King, Ph.D., the developer of this “instant healing” technique and a renowned author and teacher of the Hawaiian Huna philosophy. 2) You’ll receive a link to a streaming video of BALANCE & TONE YOUR CHAKRAS (a $29.99 value).